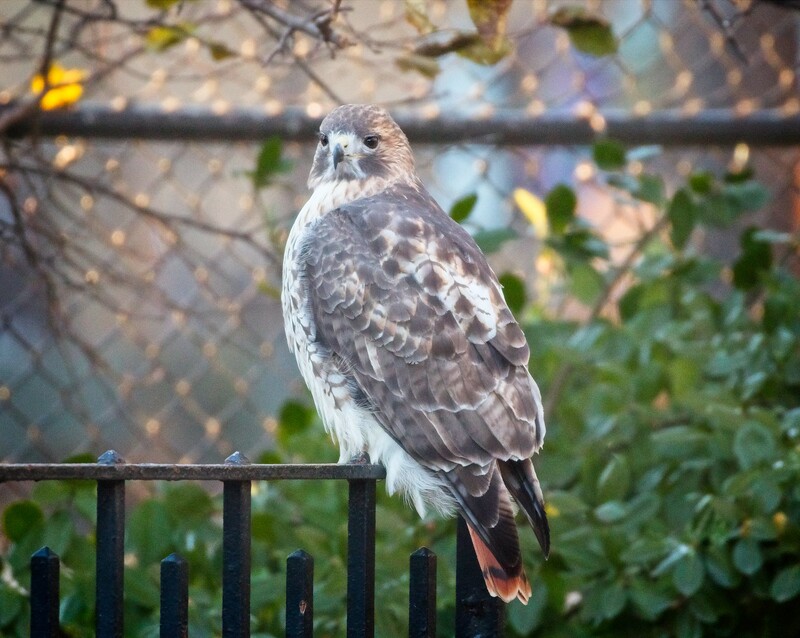 While Thanksgiving dinners were being served under the Krishna Tree in Tompkins Square Park, I found Christo the resident Red-Tailed Hawk hunting for rats behind the park offices. No turkey for this guy! Over the weekend, Amelia and Christo perched atop the Christodora building in the afternoon sun, keeping watch over their territory. Earlier today, I found Amelia perched in the ginkgo tree that hosted the hawk nest last season. She seemed to be watching the activity below as a construction crew worked on updating the Avenue B playground. Both hawks have been spending time in the ginkgo recently, so the busy construction below the tree doesn't seem to be bothering them. 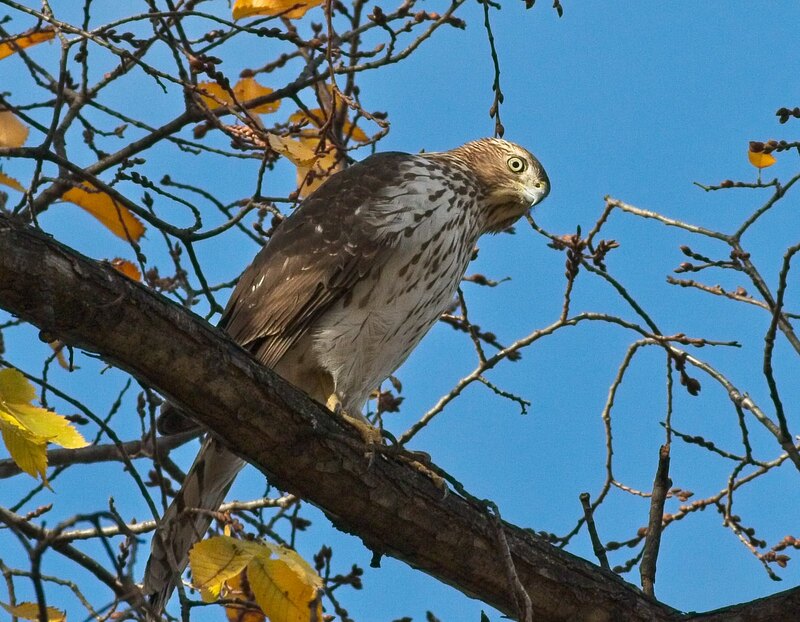 Before the Thanksgiving holiday, six hawks were observed in the park all at the same time. 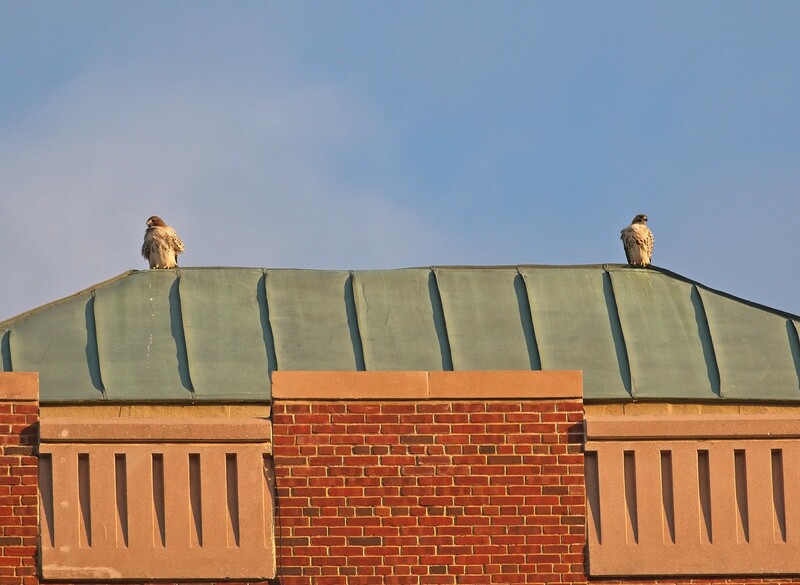 Christo and Amelia actively chased an intruding Red-Tail above the trees of the central lawn. 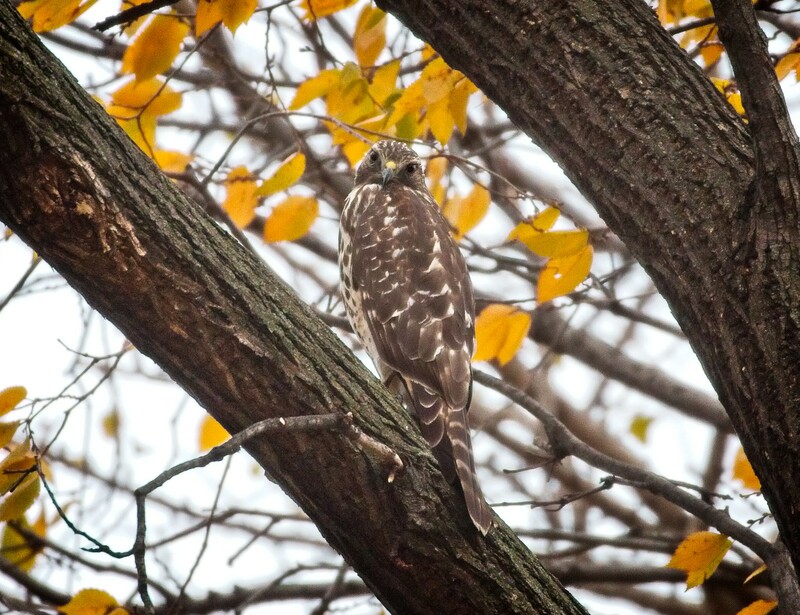 While they were occupied, this immature Cooper's Hawk perched in the Krishna Tree. It flew to the Avenue A side of the park where it joined a second Cooper's and chased after pigeons. 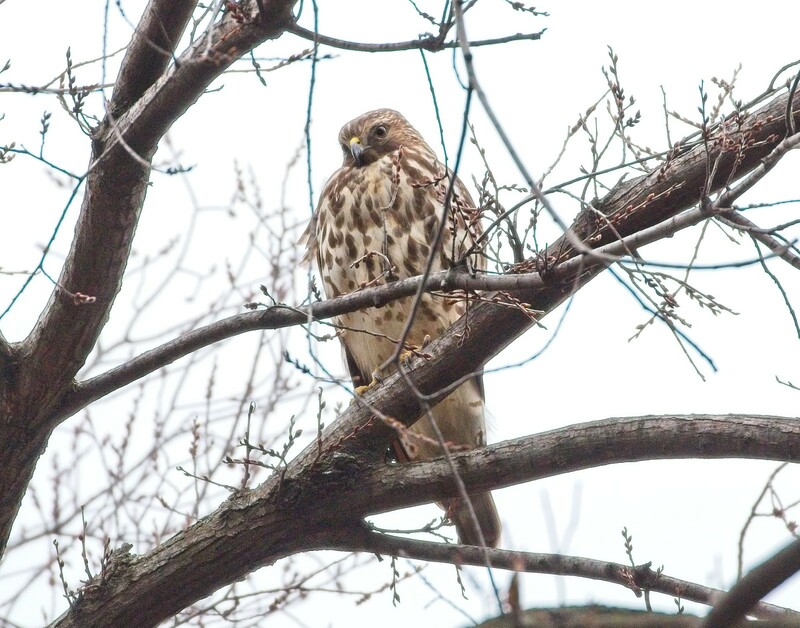 Meanwhile, I found this immature Red-Shouldered Hawk perched over the construction area by Avenue B. I previously saw an adult fly over the park this last January, but I've never seen a Red-Shouldered perched in the park until now. 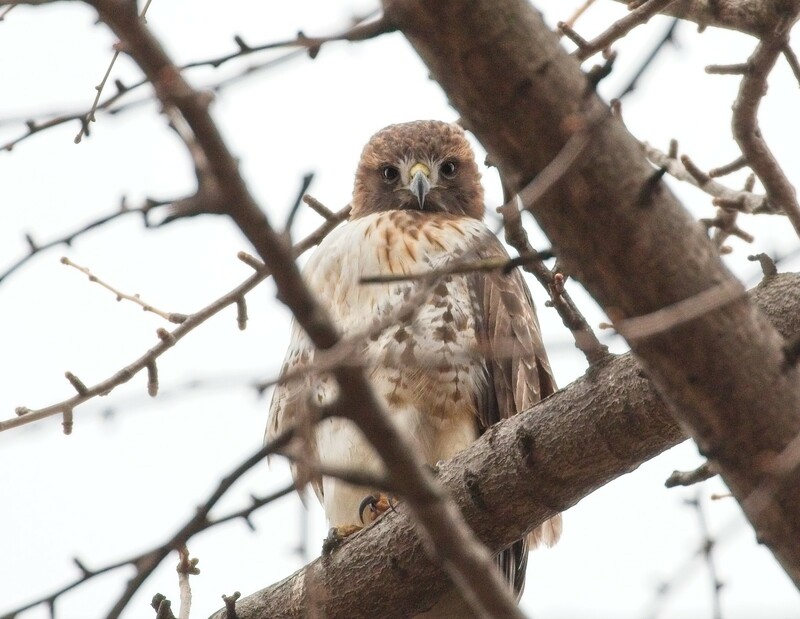 In the span of an hour, there were three red-tails, one red-shouldered and two Cooper's hawks in Tompkins Square, which really made my day. 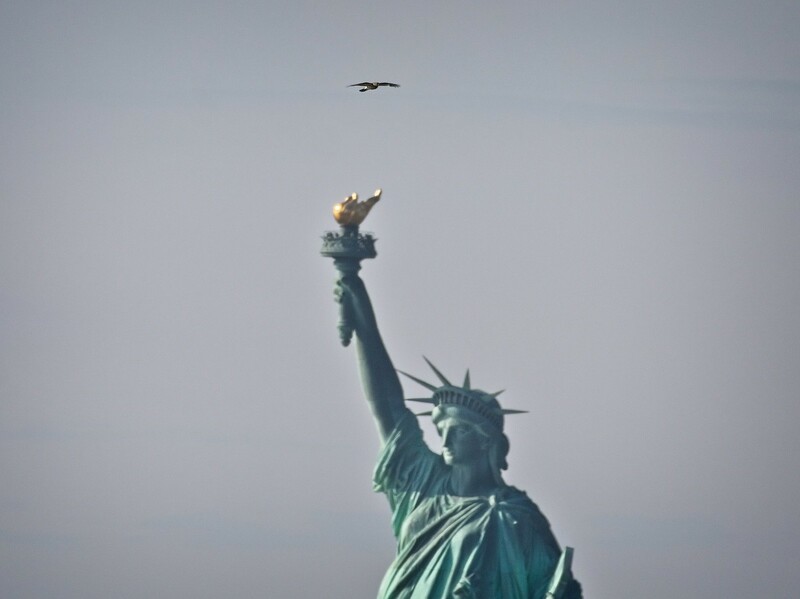 As a hawk bonus, this is a photo I took on Halloween of a Cooper's hawk flying past the Statue of Liberty. The photo was taken from Governors Island, and was a satisfying end to the 2018 season on the island.